How Much Does Sump Pump Replacement Cost? Sump pumps are an excellent way to stop your house from flooding. They are a necessity in homes built on wet soil or areas susceptible to flooding. Most building contractors will install a sump pump as long as the house has a basement. Keeping your sump pump working optimally will ensure continuous drainage of all the water accumulating in your basement. This system maintains the integrity of the building’s foundation. 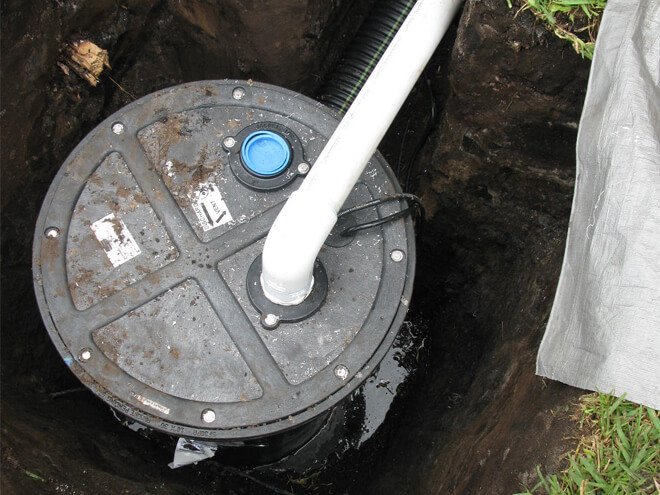 Even though sump pumps have a long life span, you might have to replace yours at some point. Sump pump replacement costs will vary depending on a variety of factors which we will discuss below. How Much Will It Cost To Replace a Sump Pump? The average sump pump replacement, regardless of whether you are using a pedestal or submersible pump, will be about $1,100. If your basement is smaller or you live in a region that is relatively dry, you could do with smaller and cheaper pumps. You could spend as little as $300 to do the replacement. The cost to replace a sump pump in areas with flood or soil logging problems could be as high as $2,500. Understanding your sump pump needs will help you choose the perfect pump for your home. You will have to balance between power, flow rate, and material to purchase something that will serve you well over time. The best way to making such an informed purchase is by talking to a sump pump replacement contractor who understands your region and your property’s demands. The cost to replace a sump pump will depend on the actual cost of the pump, any additional fixtures and the replacement labor. If you are sticking to a sump pump that is in the same class and range with the previous one, you might not have to replace the basin and drainage plumbing. You will only spend on extra fixtures if there is the need to overhaul these. The labor will vary depending on the location of the pump, its size, and the local labor rates. Other things to consider when purchasing and installing the sump pump could include insurance and extra accessories. The insurance will help you recoup your investment should the pump fail prematurely. Additional accessories like a battery power backup and sump pump alarm will make the pump a more efficient addition to your home. Would you like an accurate quote tailored to your specific sump pump replacement needs? Simply enter your home zip code in the space provided below to receive a 100% FREE quote on the cost to replace a sump pump. We can connect you with registered professionals in your specific locale. And remember, there's no hidden cost attached to this offer, so feel free to give it a try now!